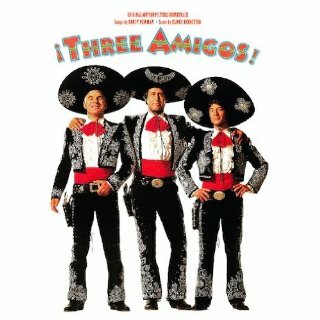 A wonderful group Halloween costume idea is the 3 Amigos – I’ve seen adults go as the Three Amigos for Halloween and kids, too. I found the adult 3 Amigos costume here. They’re really hard to find – and tend to be sold out, so if you see it available – grab it. Group costumes are SO much fun (we have a lot of unique couples costumes here and couple costume ideas your man WILL wear here. I’ve seen all kinds of group costumes over the years – and some are downright creative. But that idea takes a LOT of work. The 3 Amigos was a movie that was based on a traditional Mexican story. The movie plot was based around the three amigos being vigilante crime fighters. Since the movie was a comedy, the amigos did not wear traditional Mexican attire instead they wore stylized mariachi costumes and these make for an excellent group costume. 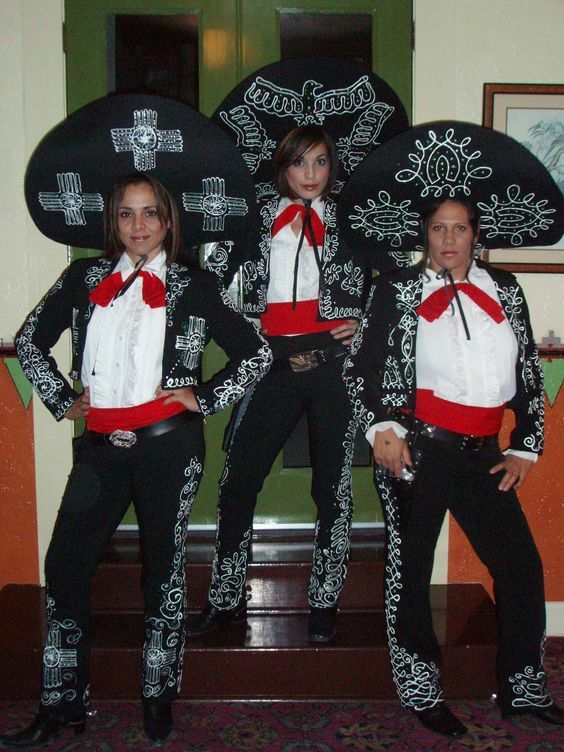 Three Amigos fancy dress costumes can be described as black mariachi suits with silver trim and silver or white detailing. Underneath the suits are white shirts with large ruffles around the collar accessorized with a red bow tie and a red sash. The final touch for the three amigos costumes is a large black sombrero detailed with silver or white to match the black suit. 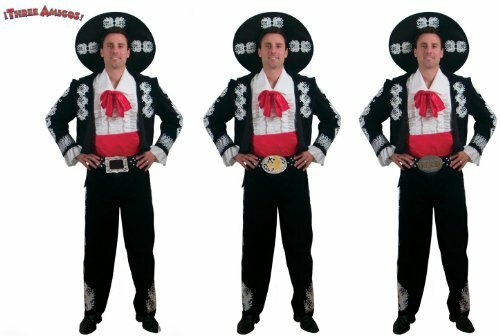 Three amigos costumes can be purchased online at specialized costume stores or online auction sites. If purchasing the costumes is not an option, it is fairly simple to make the three amigos costumes. All it takes is a trip to a thrift store, craft store and some creativity. 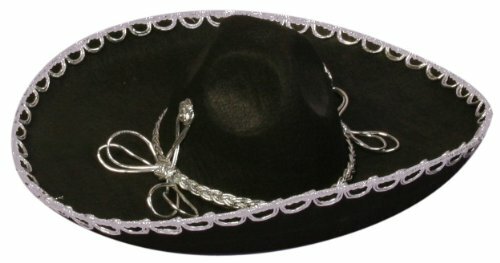 To make the three amigos costumes you will need a basic black suit, some silver or white glitter and a large sombrero. The black suit, white shirt with the ruffles, and accessories and the large sombrero are usually things that can be found at a thrift store for a reasonable price. 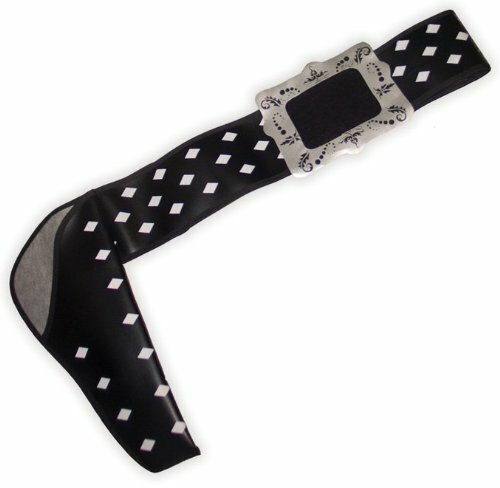 Once you purchase the basics of the costume, you can begin personalizing the costume and working on the smaller details. The suit can be detailed with silver glitter and fabric glue from the craft store. The design for the silver detailing can be based on a template that can be found on the internet or freehand depending on how intricate you want to make it. Three amigos costumes make a fantastic group costume. If you give yourself enough time and plan in advance for this year’s Halloween costume and use a little bit of creativity, you and your friends will have an original and fun costume this Halloween. You will not be scrambling around last minute to put something together. You will be prepared and ensure that your Halloween is a memorable one.